Soren is our Destination Expert in Thailand. "Soren helped me plan the trip, found me the right activities and accommodations, and was very respon...". This tour includes all Central and Northern Thailand highlights in a compact program but without rushing through! From Bangkok, drive through the former capital of Thailand, Ayutthaya, and continue on the less-traveled route to Lopburi, famous for its monkey temple. Then, set off for Phitsanulok and Sukothai, also former capital cities of Thailand, and reach Chiang Mai, "the Rose of the North". Visit a sustainable elephant camp there. Continue your journey in the hill tribe village of Ban Lorcha, where you will witness the traditional Akha lifestyle. Discover Ban Pha Tai and board a long-tail boat down the area’s main river, the Kok River. Finally, reach Chiang Rai, where we will visit the famous temple Wat Rong Khun or White Temple. You will also have the unique opportunity to visit the Golden Triangle and enjoy a boat ride on the Mekong River before the end of the tour. Begin Your Journey To The North Of Thailand! After an early breakfast, it’s time to leave from Bangkok. The first stop on your journey will be in Ayutthaya for a tour of the remains of the ancient Royal City aboard a classic three-wheel tuk tuk. From there, head further north to the city of Lopburi, where you'll visit the famous Monkey Temple and Prang Sam Yot, located in the city center. Continue towards the city of Phitsanulok, where you'll stay for the night. Check into your hotel in the city of Phitsanulok. In the evening you can take a pedal-powered trishaw tour for an evening ride around the night market, where you can also have dinner, perhaps at the famous “Flying Morning Glory Restaurant”. Enjoy the night exploring this magnificent place. Rise and shine! In the morning before leaving Phitsanulok, pay a visit to the Royal Temple Wat Mahathat, which has a great place in the country’s history and is home to one of the most beautiful Buddha images in Thailand. Then, set out by road for the former capital city of Thailand or rather at that time the Kingdom of Sukhothai. On arrival, explore the highlights of the ancient remains of Sukhothai and tour the historical park, which can be done by either tramp or by bicycle. Next, visit the Sangkhalok pottery village before arriving and checking in at your hotel in Sukhothai. In the evening, your guide can introduce you to the famous Sukhothai Noodle Soup (at your own expense). You shouldn't miss this local delicacy! Wake up to another beautiful day in Thailand! The day begins with a live presentation on rice cultivation, where you will also experience the hard work of growing rice. You will learn many tips and tricks which the locals use to grow their rice. Then, drive to Lampang, where you will visit and admire Wat Phra That Lampang Luang, housing the country's only Emerald Buddha other than the one in the Grand Palace in Bangkok. It is an astonishing view and one that we will stay with you for a lifetime. Our last stage is the final drive to Chiang Mai, also called “the Rose of the North” and regarded as Thailand's 2nd capital, where you'll check into your hotel. The evening is free for you to explore the city's night market, where you can also have your dinner in one of the local places. After breakfast, drive along the steep road to the mountain temple Wat Phra That Doi Suthep, a sacred temple with superb views over the city. Continue to Talat Warorot, Chiang Mai’s largest market, and drop by Wat Chedi Luang, one of the city's most celebrated temples, before a visit to the social enterprise of Elephant Parade, where you can also participate in a workshop painting your own elephant (at your own expense). For lunch, stop at a reasturant to enjoy the national dish of Chiang Mai, the khao soy, before returning to the hotel where you can spend the rest of the day at leisure. You can also visit the San Kamphaeng handicraft district and watch artisans practicing ancient Thai arts and crafts or the Art in Paradise Museum. For dinner we suggest that you to join a khan toke, dining off low tables while watching a live music and dance performance - an unforgettable experience. After you have enjoyed your breakfast at the hotel, set off and drive to a sustainable elephant camp outside Chiang Mai, where you will learn about elephants and their important role in Thai heritage and history. A side-trip to a nearby orchid farm will give you a stunning impression of some of Thailand's rich variety of orchids. You will be stunned by the beauty of this astonishing flowers. Continuing towards Thaton, we will stop to explore the caves at Chiang Dao before reaching your hotel in Thaton. Rise and shine! After your breakfast at the hotel, start the journey to Chiang Rai with a visit to the hill tribe village and community center of Ban Lorcha, where you'll have the chance to witness the traditional Akha lifestyle and see their display of handicrafts with items also for sale. Continue to Ban Pha Tai and board a long-tail boat for a journey down the area’s main river, the Kok River. You'll be picked up at the pier for the last stage of your day journey to Chiang Rai, where you will visit the famous temple of Wat Rong Khun or White Temple and see the statue of King Mengrai the founder of Chiang Rai before checking in at your hotel. 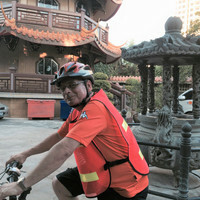 This evening's option is a city sightseeing by trishaw and a stop for dinner near the night market, at your own expense. Don't miss this opportunity to get some first-hand impressions of the bustling life here. Stay in Chiang Rai for the night. No visit to Chiang Rai is complete without a visit to the Golden Triangle, where the borders of Thailand, Myanmar, and Laos meet. Get ready to visit a viewpoint from where you can see the point where the three countries meet. This undoubtedly an awe-inspiring sight which will stay with you for a lifetime! 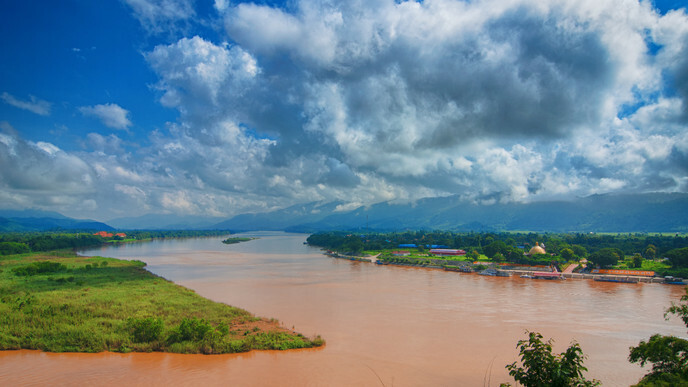 After you spent a reasonable amount of time admiring the Golden Triangle, enjoy a boat ride on the Mekong River before heading to either the Chiang Rai Airport, the Thai Laos border or extend your stay in Chiang Rai. Safe travels and don't forget that Thailand is always ready to welcome you back!